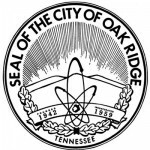 The City of Oak Ridge said its staff have been closely monitoring local weather forecasts ahead of the wintry mix, snow, and bitter cold that are expected to arrive Tuesday and Wednesday. If you have questions about the city’s winter weather procedures, you can review the plan here: http://bit.ly/ORWxPlan. “Stay safe and warm this week!” the city said.